One of the original Vampirate boards the Batmoboard started from wanting more thickness in a shortboard. 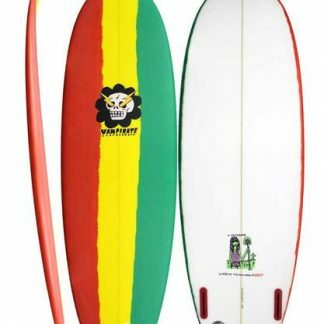 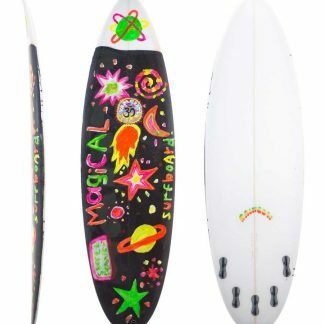 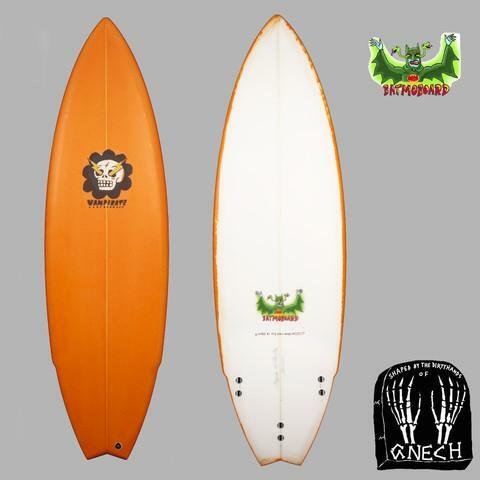 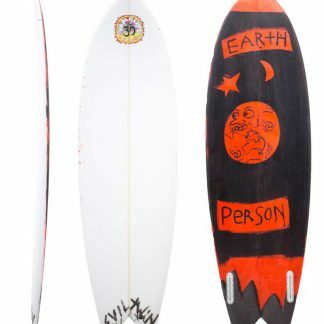 Ozzie says “I’d been riding fishes religiously for so long that it became tricky to jump off my fish and adapt to regular short boards so this was the perfect board for me. 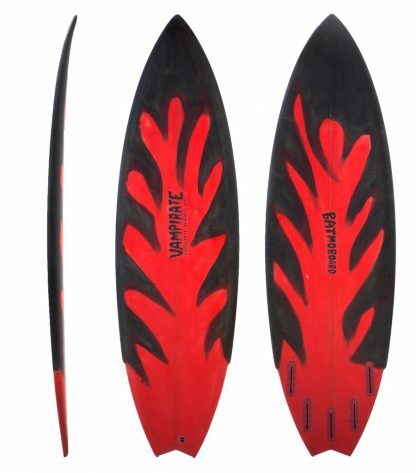 De na na na na na de na na na na na na na nan a batmoboard batmoboard….